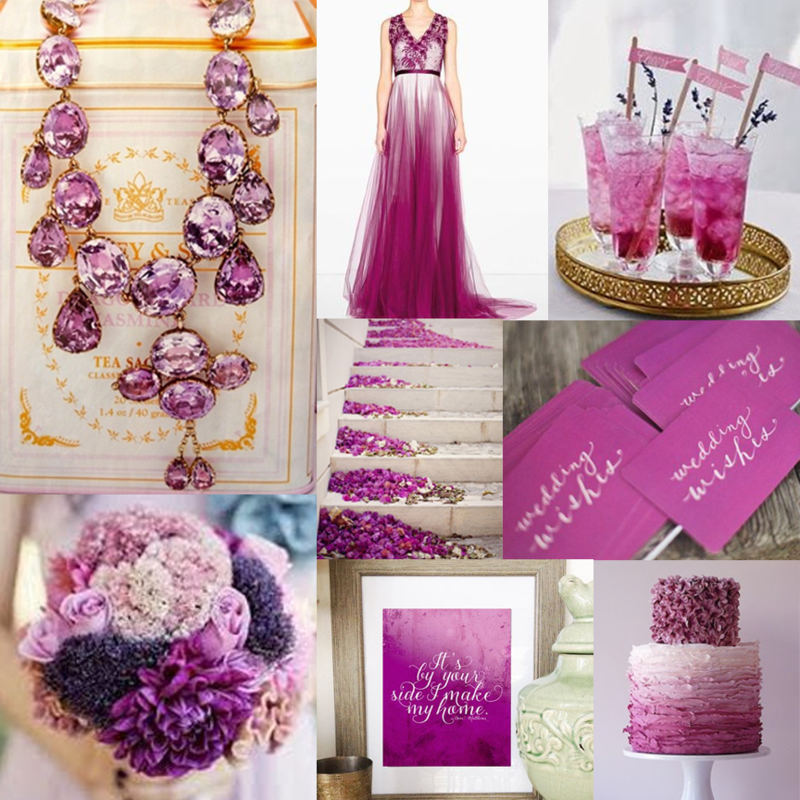 I'm sort of glad that purples are making their way back into the wedding world. I feel like the wedding industry has been saturated with mint, coral, yellow and gray, for a really long time. I love the lush feeling of this board. It feels very luxe and has a pretty element of sparkle, thanks to that seriously amazing statement necklace. Adding some darker pops of purple keep it from feeling too juvenile. Have a fantastic Wednesday! 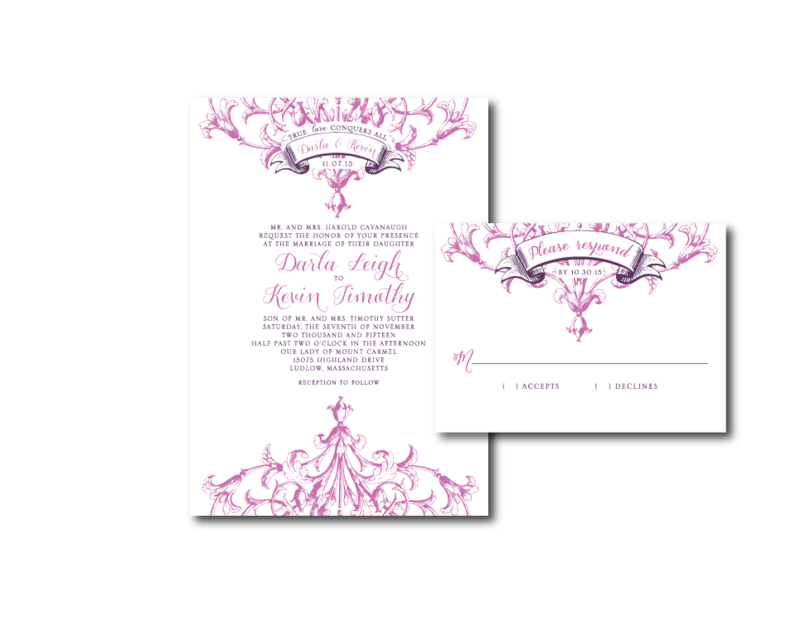 Check back tomorrow for a real wedding save the date design that we recently created!